•	Prostate Cancer UK has been named as the National League’s first ever official charity partner for Season 2018/19. •	In celebration of this partnership, for the first time in English football history, a league will re-brand mid-season. 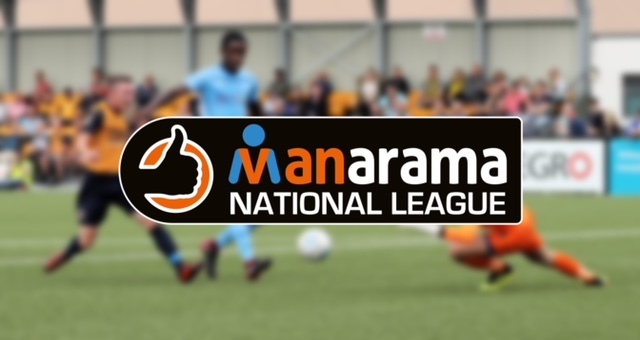 •	Title sponsors of the league Vanarama has changed its name to MANarama throughout the month of September, and to support this initiative the National League will rebrand as MANarama until the Non-League Day on 13th October. For more information, please contact Gary Haines, Sports PR Manager at Prostate Cancer UK, on 020 3310 7079 or at gary.haines@prostatecanceruk.org, alternatively email pressoffice@prostatecanceruk.org or call 07984 325001. •	Prostate Cancer UK has a simple ambition – to stop men dying from prostate cancer. •	As the number of men diagnosed with prostate cancer continues to rise (making it the most common of all cancers by 2030), now is the time to take control. Through shifting the science over the next 10 years to focus on radical improvements in diagnosis, treatment, prevention, and support, we will stop prostate cancer being a killer. •	More than 11,000 men die from prostate cancer in the UK each year – that’s one man every 45 minutes. It’s the third biggest cancer killer. 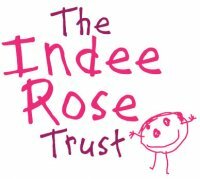 •	It’s the most common cancer in men, with over 400,000 living with and after the disease in the UK. •	Prostate cancer is set to become the most commonly diagnosed cancer of all in the UK by 2030 – which is why we must all act now to curb its power to kill. •	Men over 50, black men and men with a family history of prostate cancer all face a higher than average risk of the disease. •	Prostate cancer treatment often causes devastating, long term side-effects. Incontinence and erectile dysfunction strike at the heart of what it means to be a man. •	Anyone with concerns about prostate cancer may contact Prostate Cancer UK’s Specialist Nurses in confidence on 0800 074 8383 or online via the Live Chat instant messaging service: www.prostatecanceruk.org/. The Specialist Nurse phone service is free to landlines and open from 9am to 6pm Monday to Friday with late opening until 8pm on Wednesdays. •	Visit www.prostatecanceruk.org now to help beat this disease. •	Non-League Day was set up in 2010 with the aim of boosting attendances at non-league grounds across the country on an international weekend when the country’s top clubs have the week off. The event has become a well-established part of the football calendar and is now in its fifth year. •	Premier League and Championship clubs and their players often promote matches at neighbouring non-league clubs, with many offering special events and incentives to get extra people in. •	Vanarama, is an award-winning commercial and personal vehicle leasing company established by CEO Andy Alderson in 2004 with a team of just three people – the company now employs close to 230 at its Hemel Hempstead main office. •	The company provides industry-leading customer service and has found investing in that service, and the staff that provide it, to be a successful formula for success. •	That success was reflected in 2015 when Vanarama won the prestigious Lloyds Bank National Business Award for Best Small to Medium Sized Business, an accolade that recognised the company’s commitment to training, customer service and innovation. •	The company has also been confirmed as a Sunday Times 100 Best Small Companies To Work For in the UK in 2016, 2017 and 2018, with Andy Alderson being named Best Leader at the 2017 awards ceremony. •	Vanarama is also is a member of the Institute of Customer Service and was awarded a ServiceMark with distinction in 2017. •	Established in 1979, the National League consists of 68 clubs in 3 divisions occupying the fifth and sixth tiers of English football. •	The top division promotes two clubs directly each season into the EFL and all 68 clubs participate annually in the FA Cup and FA Trophy. The National League Promotion Final is played annually at Wembley Stadium. •	Clubs within the National League play entertaining and competitive football in front of loyal and passionate fans.